Sign Up Today This is a 4 week workshop only $125.00 (USD) UK, Canadian, Australian and other currency accepted on the Pay Pal secure website. Would you like to select art for your home, office, hotel, or business but don't know where to start? You've moved in months ago but your walls are still bare. 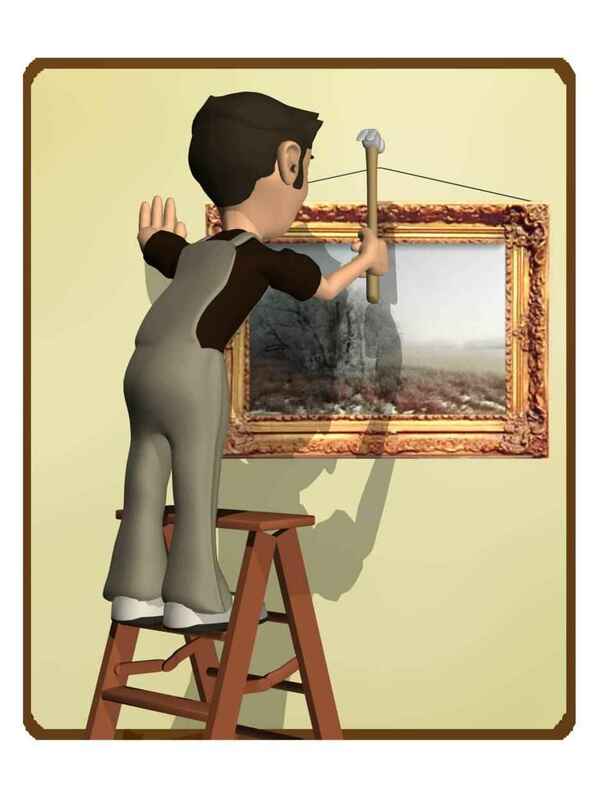 Are you having trouble finding art to adorn your walls. 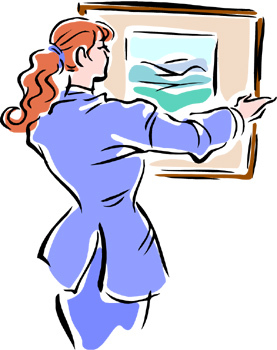 You don't have to be an art collector or to have a huge budget to select and locate quality artwork for your home. An art professor offers some advice for finding art for you home and office and having fun doing it. This workshop is for anyone who wants to learn more about their own taste in art and where to locate the best art for their budget. Instructor Valerie Colston, M.A. is an art professor with many years of experience developing and teaching art programs as an Art Performer at several San Diego local libraries. She teaches 100 Art Ideas for Teachers at the University of California, Extension in San Diego, California and a variety of Art history courses online through colleges and universities. Ms. Colston was an art consultant to the Wyland Foundation Ocean Challenge program for teachers. Her book 200 Projects to Strengthen Your Art Skills published by Barrons Educational Series has received outstanding reviews appearing in School Library Journal, National Art Education Association newsletter, and more. Her "It's Easy to be a Green Teen" appeared in the youth librarian publication Voices of Youth Advocates October 09 issue. Teens Go Green! Tips, Techniques, Tools and Themes for YA Programming. Libraries Unlimited Professional guides for Young Adult Librarians Series 2012. This class has planted the seeds for many ideas, and provided resources that I can go back to when I'm stumped. I would recommend this class to people who are looking for fresh ideas and new resources, or for people who are new to programming. I have definitely learned a great deal in this course and would recommend it to others. I am a new librarian, and I did not know what to do with arts and crafts.